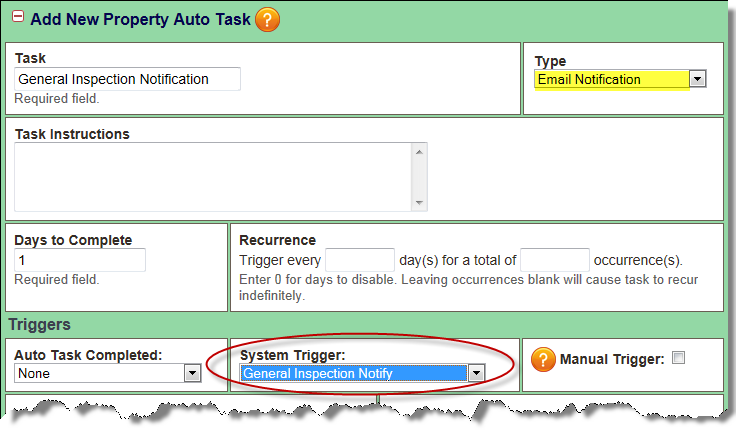 First, you must create an Auto Task that will send an Automatic Email Notification. Details on how to go about this are defined below. 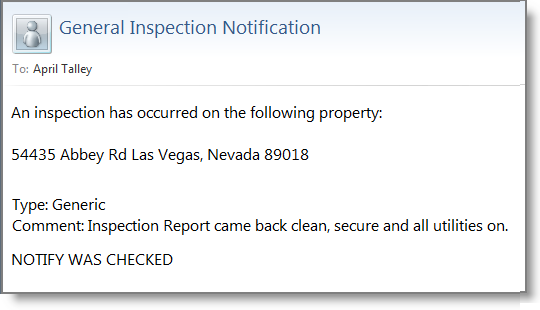 Second, when a General Inspection is added into the Broker Brain system, you must click the Notify button at the bottom of the General Inspection screen. This is what will trigger the Email Notification to be sent. Click here for more information. The task Type should be set to Email Notification or Task & Email Notification, as shown below (highlighted in yellow). 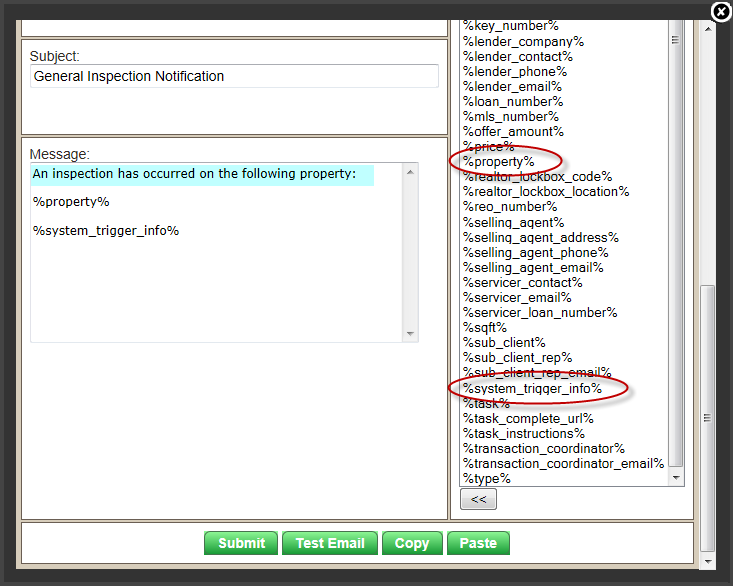 You must set the System Trigger field to General Inspection Notify, shown circled below.